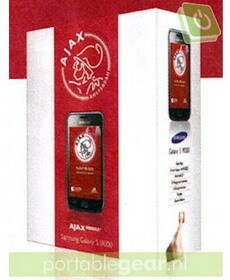 Samsung and Ajax Amsterdam is launching a special editions of the Galaxy S and Galaxy Apollo Android smartphones, in the Netherlands. Both devices will be available with a 19.95 EUR monthly plan which includes voice, data and access to Ajax-related content. Other than the packaging, the smartphones' specs will apparently be the same as the original versions. 0 comments on "Samsung Galaxy S and Galaxy Apollo Ajax Editions announced in the Netherlands"